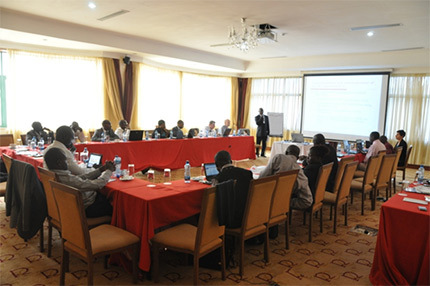 In conjunction with the East African Trade Hub, a USAID-sponsored project, training on the World Trade Organization (WTO) Technical Barriers to Trade (TBT) Agreement notification responsibilities and effective enquiry point operations was conducted in Nairobi, Kenya, on December 9-11, 2013. The three-day training targeted the national enquiry points of all five East African Community (EAC) countries (Burundi, Kenya, Rwanda, Tanzania, and Uganda) to enhance their capacity to manage and oversee activities relating to WTO notifications and National Enquiry Points (NEPs) engagements. NEPs are offices in WTO member countries that receive regular notifications on standards, technical regulations, and conformity assessment procedures currently under development by WTO member states. NEPs are responsible for disseminating sector-specific information relevant to private-sector stakeholders. 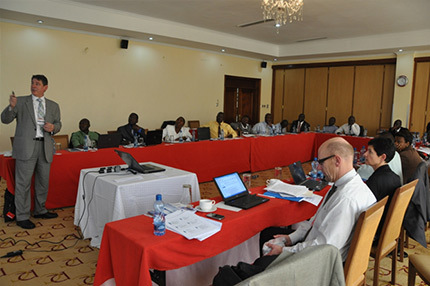 The training was conducted by representatives of the U.S. NEP at the National Institute of Standards and Technology (NIST), and attended by 19 participants from the Bureaus of Standards of all the EAC Partner States. The purpose of the workshop was to train participants on NEP functions in compliance with the requirements of the WTO TBT Agreement.